Washington, NJ: An innovative fluid bed drying system from vibratory process equipment manufacturer The Witte Co., Washington, New Jersey (www.witte.com), enables processors to eliminate risk of explosion by recycling nitrogen as a safe, proven alternative to traditional explosion suppression systems. Increasing the amount of nitrogen in the process air to 85 percent to render combustion impossible, the Witte drying system features an integral baghouse dust collector set directly above the fluid bed drying zone to create a sealed system. 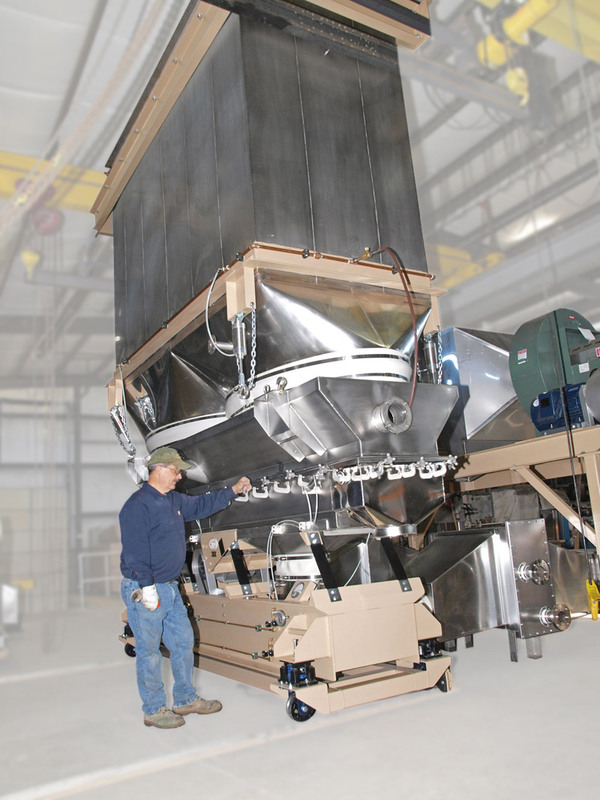 Condensing the moisture removed with a chilled water coil, this approach allows 100 percent of the nitrogen to be recycled while safely containing 100 percent of the fine powders entrained in the airstream and separating them from the process gas. Recycling 100 percent of the nitrogen also reduces the amount of gas needed versus exhausting the moisture-laden gas and reduces its costs accordingly. Developed to promote worker safety and aid compliance with NFPA 654 Standard for the Prevention of Fire and Dust Explosions from the Manufacturing, Processing, and Handling of Combustible Particulate Solids, the Witte nitrogen recycling system is ideal for drying bentonite clay, pesticides and herbicides, powdered plastic resin, and other chemical, food and pharmaceutical products that generate combustible particulates less than 200 µm. The Witte integral baghouse design allows these fine particles to be dried in a fluidized bed processor processor, which would not be possible in a conventional fluid bed dryer. The Witte systems are custom-designed and manufactured at the company’s Washington, New Jersey headquarters and are backed by the company’s 80-year history of customer satisfaction. The dryers are inspected and tested prior to delivery and are backed by a full warranty.